Washington should ban high-capacity magazines and undetectable guns. Washington citizens have demonstrated their support for sensible gun regulations. State lawmakers should follow that clear guidance and pass new, reasonable gun laws this legislative session. Two of the best choices proposed so far would stop the sale of large-capacity magazines and ban so-called “ghost guns” that can slip past metal detectors. Gun owners and sellers maintain that magazines capable of holding more than 10 rounds of ammunition are the most common sold and used in the United States. Reloading after 10 rounds would not be a hardship. Forcing a shooter intent on killing in a school or shopping mall to pause could definitely save lives. At least nine states and some local governments already ban or regulate high-capacity magazines, with limits ranging from 10 to 20 rounds. 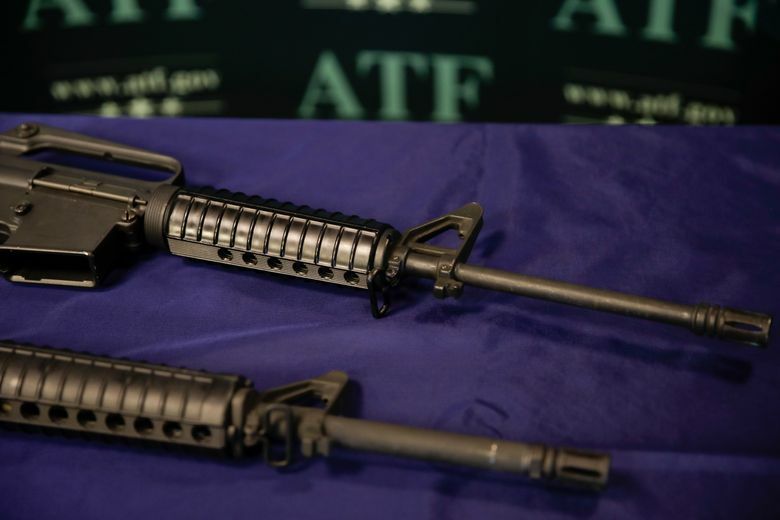 In March 2015, the federal 9th Circuit Court of Appeals upheld such a regulation in California saying it did not violate the Second Amendment, but several other cases, including a different California case, are currently working their way through the courts. The Legislature should pass Senate Bill 5062 and join California, Colorado, Connecticut, Hawaii, Maryland, Massachusetts, New Jersey, New York and Vermont in taking this sensible action. The legislation makes exceptions for law enforcement and military, as well as some other provisions for possession of family heirlooms, for example. Anyone with a 3-D printer and some instructions downloaded from the internet can make an undetectable and untraceable firearm. Washington has joined a lawsuit to stop those instructions from being shared. Senate Bill 5061 would go one step further and prohibit the manufacture and sale of such firearms. The bill’s chief sponsor, Sen. Manka Dhingra, D-Redmond, is a senior deputy prosecuting attorney with King County. She expressed concerns during a hearing Monday that people could easily bring these undetectable guns into the courthouse. An alert guard already caught someone trying to do so. The Legislature should embrace these smart proposals. Lawmakers should consider other proposed gun regulations including Senate Bill 5143, which would allow law enforcement to temporarily remove firearms and ammunition from a home during and after domestic-violence incidents. These proposals attracted enough attention, both for and against, to fill five hearing rooms in Olympia on Monday. Controversy automatically surrounds any proposed new gun regulation. Lawmakers should focus on the substance, not the circus, and ban ghost guns and high-capacity magazines.